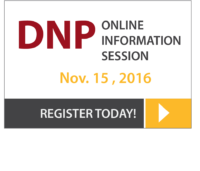 Join us for a live information session and learn more about the DNP program from the MU Sinclair School of Nursing. As part of the live event on November 15, you will be able to ask questions, participate in the discussion and receive additional information from our staff. RSVP today!